It's currently the Great Singapore Sale and I'm pretty sure a number of you are flying in or have already flown in to shop, shop and shop some more! I got to admit, regular price shopping is not cheap here in the Lion City so even we, residents, do welcome these mall-wide sales with glee! 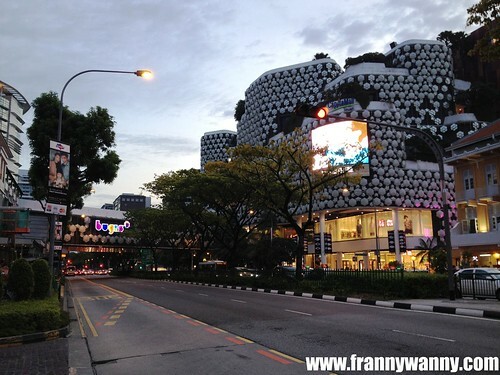 When it comes to shopping in Singapore, definitely Orchard Road would immediately come to mind. A whole stretch of malls located right beside each other housing a number of brands to suit our taste and needs. 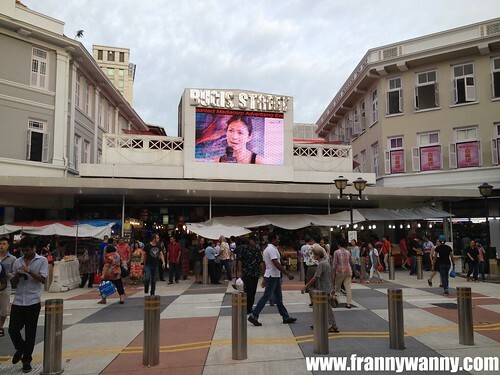 However, if you're here for bargain shopping, then head over to the Bugis district. Back in the 50s up until the early 80s, Bugis Street was known as Singapore's red-light district. This all changed when a major urban redevelopment project happened turning what used to be a street filled with bars and pubs into one lined with shops and bazaar stalls ready to cater to the shopping crowd. With the addition of the newest MRT Downtown Line (Blue), you can now access Bugis either through the Blue or the Green (East-West) Lines. There are also numerous buses that heads to Bugis and stops right in front of Bugis Junction, Bugis+, Raffles Hospital or the Bugis MRT Station. 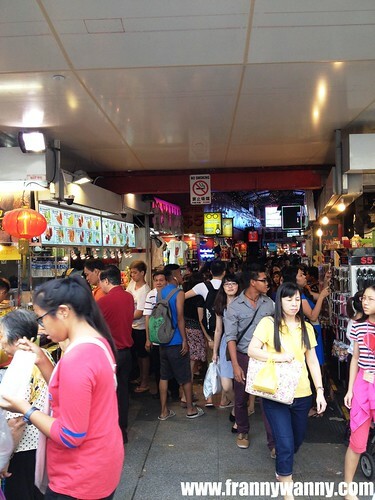 So we begin our walk inside the air-conditioned bargain strip called Bugis Street. Coming from Victoria Street, you won't miss this busy stall selling chilled fruit juices. Definitely a great time to grab one to beat the heat! As you walk in, you'll see stalls after stalls selling clothes, gadgets, accessories and more! 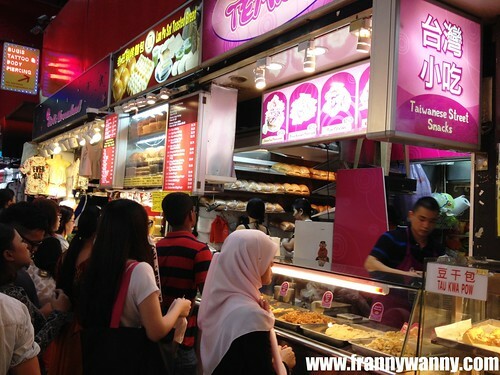 Should you start feeling hungry in between shopping, there are a number of snack stalls available. I particularly like this one selling really thin crunchy crepes. After probably an hour or so, we finally reached the end of the bargain strip. Shopping and eating doesn't stop there though. 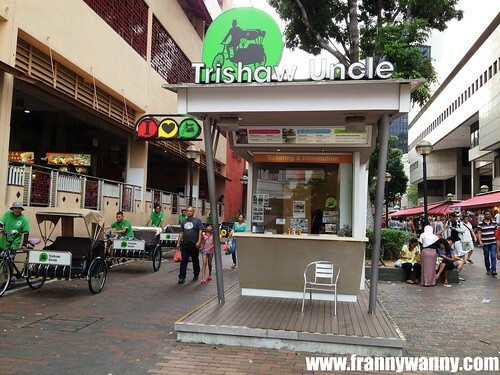 Cross the street to check out Trishaw Uncle. 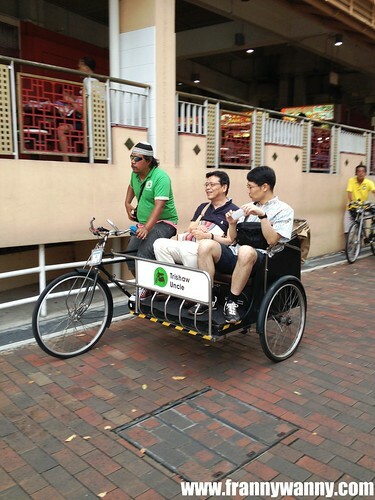 This is Singapore's version of the tricycle. Using the same design used back in the day, visitors (and even locals) can check out a number of Singapore's sites and districts onboard this very historic mode of transportation. I have yet to try this though. Beside the Trishaw Uncle booth is the popular Albert Centre Market & Food Centre. 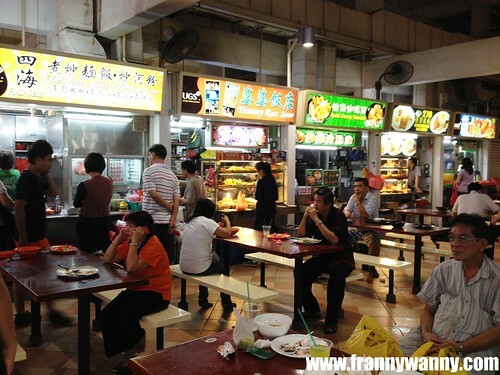 I heard from my friend HK that their Lor Mee is really good here. If you're not sure what Lor Mee is, it's quite similar to the Maki Mi being sold in Manila with thick soup and yellow egg noodles. 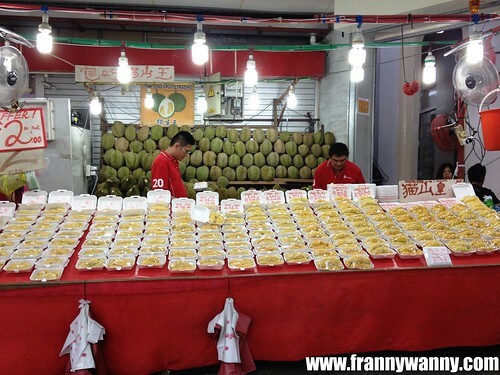 Walking back to Bugis Street, take a right and you'll see this stall selling all types of durian. 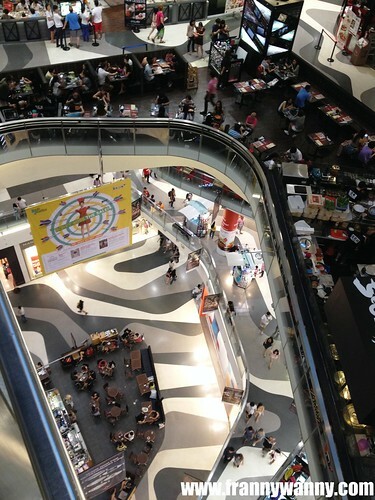 Go further down till you reach Bugis+, one of the newest malls in the district that caters to the younger crowd. It has a nice movie theater, a lot of food establishments and a number of retail outlets for the young adults. There's even a huge gaming arcade too! I may be overage (but hey, I'm young at heart!) 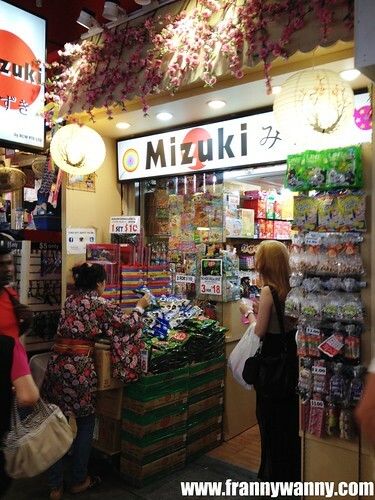 and I really do enjoy shopping and eating at Bugis+. For one thing it has 3 of my favorite restaurants -- Poulet, Aston's and Ramen Champion. Connected via a bridge from Bugis+ is Bugis Junction. This is a bigger mall with more retail outlets to suit your needs. 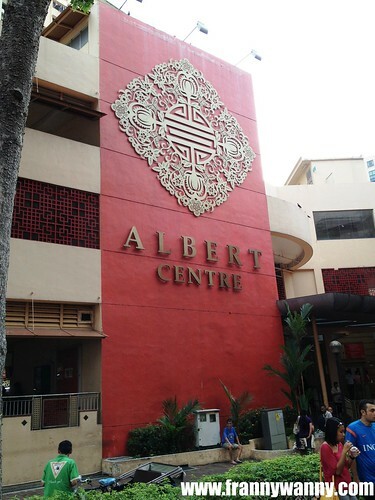 This mall is very accessible as it's close to the MRT exit. Another restaurant to check out in Bugis is Ramen Keisuke Tonkotsu Four Season which is very near the Bugis Shopping Street. There you have it! 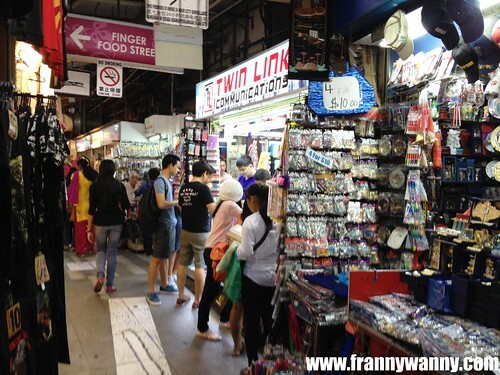 Hope you enjoyed our quick tour around the vibrant district called Bugis. Let's continue to explore Singapore!